Can Cats Carry Bed Bugs? Bed bugs are a problem that have many people asking how they spread. A bed bug infestation is creepy enough by itself, and you may be wondering if the bugs are being spread by your cat. You may be asking yourself, “Can cats carry bed bugs?” The simple answer is no, but they can feed on your pet — and you. Bed bugs are small insects that feed solely on blood. Unfortunately, they feed on your blood, because humans are their main targets. They sneak into homes by hanging onto a piece of clothing or luggage, or they can even sneak in through tiny openings such as electric outlets. Bed bugs have been around since our ancestors lived in caves. 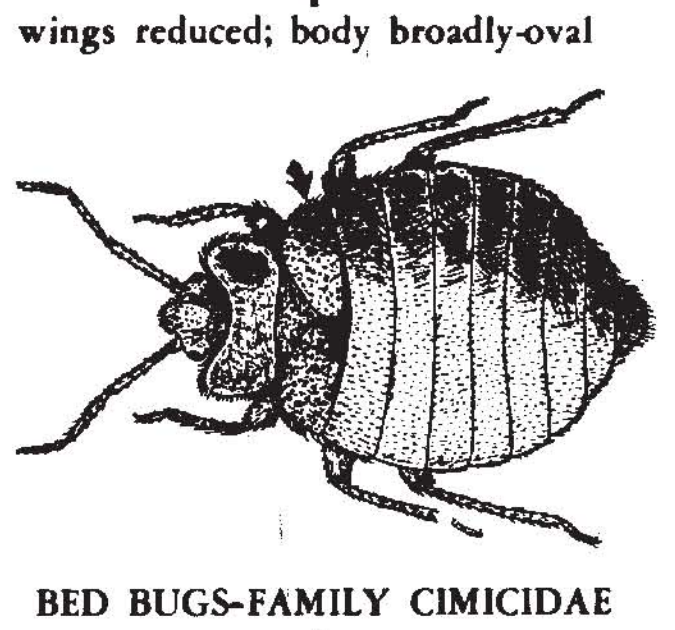 The bed bugs lived in the caves too, feeding on humans and later bats after people found other places to live. The last noted problem with bed bugs occurred in the 1950s, but they have returned to become a problem once again in recent years. Bed bugs seek out human hosts by detecting the carbon dioxide released when we exhale. Once they get closer and zero in on their targets (us), they use infrared sensors and antennae to find a good spot to drill for blood. You won’t usually feel the bites. This is because the bed bug administers an anesthetic so you don’t wake up, followed by an anti-coagulant to keep the blood flowing freely until it is finished feeding. Bed bugs don’t eat only at night. This simply happens to be the time when most of us are sleeping. If you have a nighttime job and sleep during the day, you’re still going to be a victim. Bed bugs spend non-feeding time digesting the blood, night or day. They are not exclusively nocturnal. Do Bed Bugs Bite Pets? Bed bugs do bite pets, but only when there is not a human host nearby. This means that as the insect senses a carbon dioxide signature, if the human is farther away (within 50 to 75 feet away) it will still migrate toward the human first. They prefer humans as a food source, but not because humans are easier to bite. It’s the carbon dioxide signature that is more attractive to them. Fur or hair has nothing to do with it. 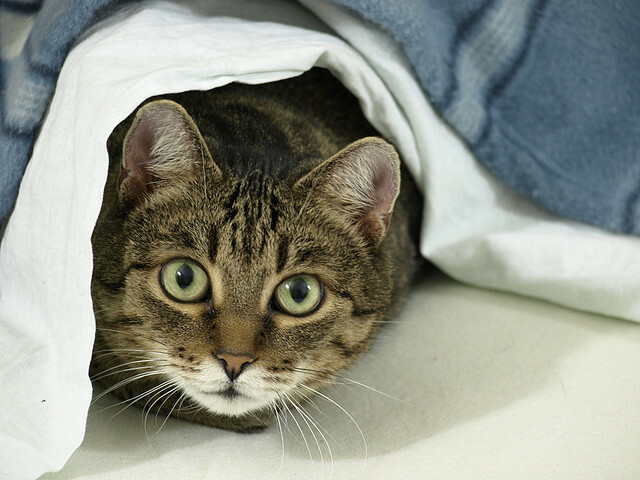 Bed bugs will feed on cats, dogs, birds or other animals when a human host is not present. Bed bugs won’t use an animal as a means of transport or a nest. They feed for 3 to 5 minutes and move back to the nesting area. This is usually 5 to 10 feet away from the host. With pets, you are more likely to find the bugs in carriers or crates, bedding, toys or other items close to where the pet sleeps. If you’re petting your cat while you are on your sofa and spot a bed bug on the cat, check the sofa — not the cat or the cat’s area of sleep. Chances are the sofa is infested. Take all the bedding and wash it in hot (120-degree) water and dry in high heat. Wipe down the carrier or crate generously with rubbing alcohol and vacuum the sleeping area extensively. Call a qualified exterminator to get an inspection done. If the bed bugs were found on a pet, there is a strong chance they are closer to you as well and that the problem is heavier near your bedroom or the living room. Is Treatment Safe for Pets? In recent years there has been a large increase in the bed bug epidemic in the United States. There has also been an increase in eradication methods. Reputable companies can treat the problem without risks to your pets. Make sure the company has all the credentials to do the job right. Don’t Miss: All About Ticks – and the Truth About Frontline, Advantix, Etc. One pregnant female will produce as many as 35,000 offspring in 10 weeks if left untreated. Yikes! Chemicals alone will not solve the problem. The eggs are impervious and will hatch with a resistance to the chemicals just used. An adult will live for up to 15 months without a blood meal. Bed bugs travel using the electrical lines in your home, among other ways. They sense your carbon dioxide within 100 feet. Once within 10 to 15 feet, they use infrared sensors to find the “hot” spot for a meal.